The Visi On manuals - the complete set! Interestingly the covers of the manuals and outside of the boxes are covered with cloth. (Click graphics for larger images). Here are a few pages from the manual. This shows the type of system Visi On ran on. 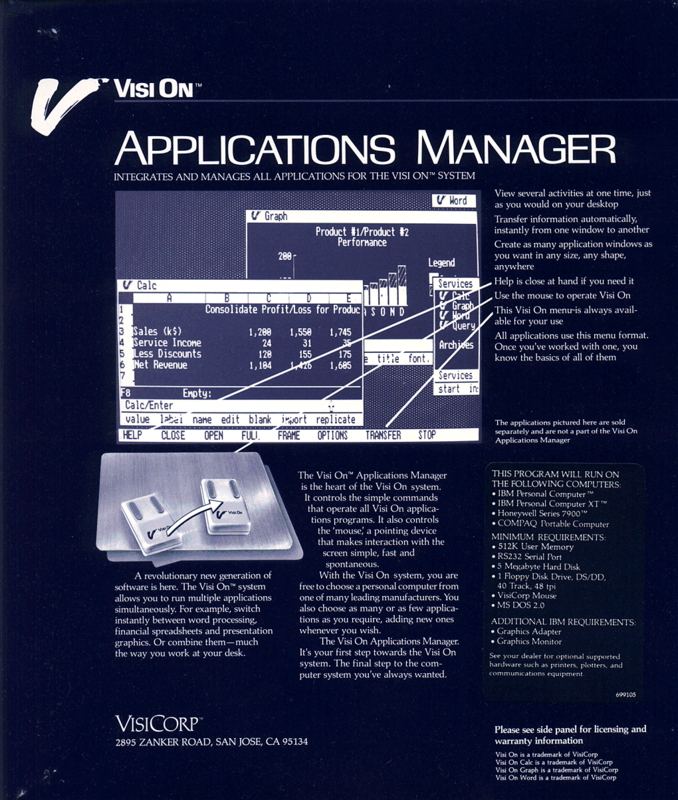 This shows the window elements used in Visi On. Note that the diagrams in the manual are drawn and do not exactly match the actual display. 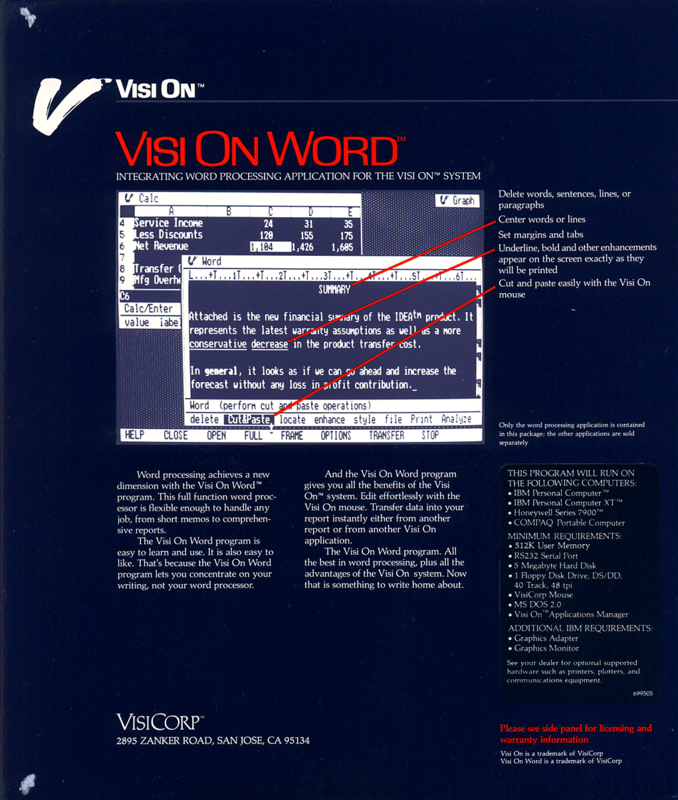 Color, pointing marks, and "zoom in"s on controls have been added for illustrative purposes. An example of transferring data between applications and the "Services" window that lists the installed applications. "Closed" windows as they call it, or windows that have been "set aside" appear in a list in the upper right of the desktop. Another demonstration of Graphs created by Visi On Graph. 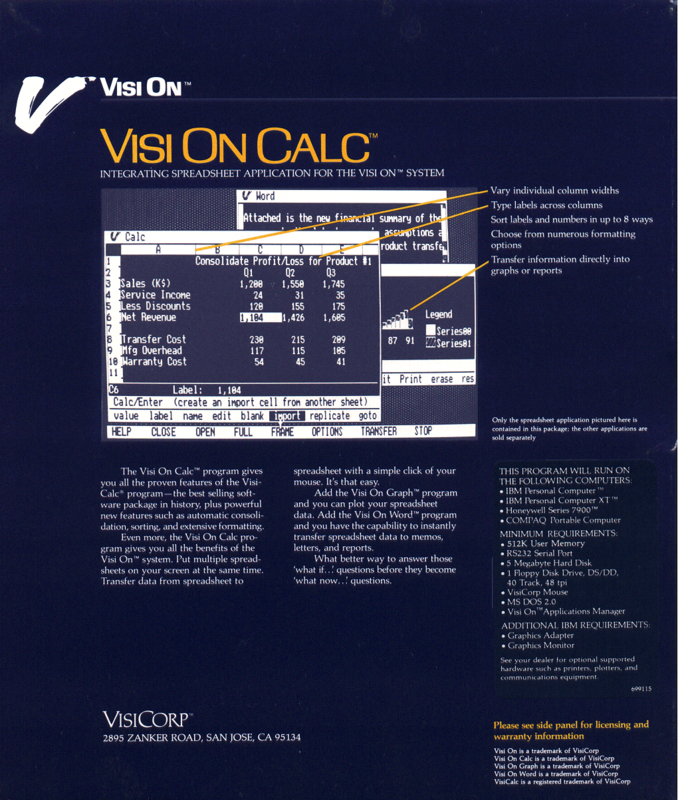 Some Visi On marketing sheets demonstrating what Visi On can do. (Large scans).